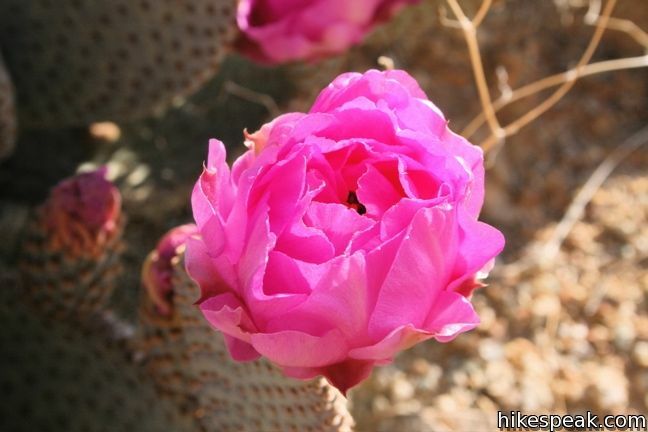 Spring is the perfect time to visit Joshua Tree National Park. 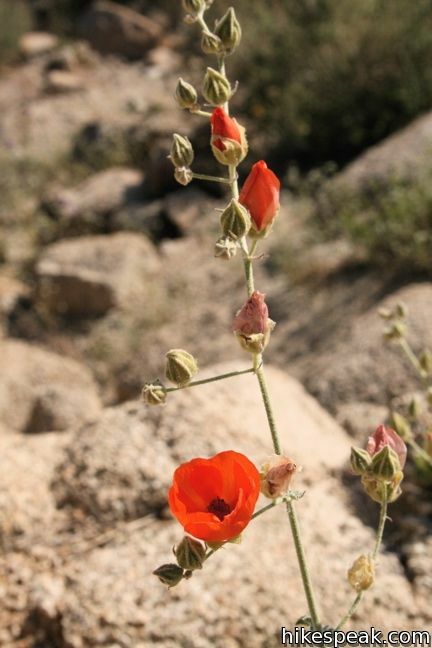 The temperatures are accommodating and the desert comes to life with wildflowers. 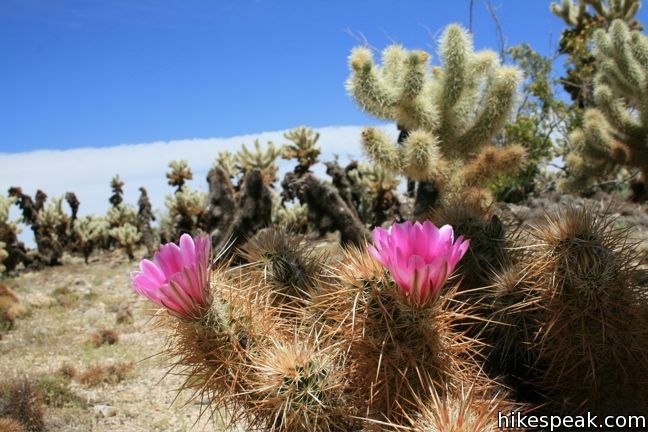 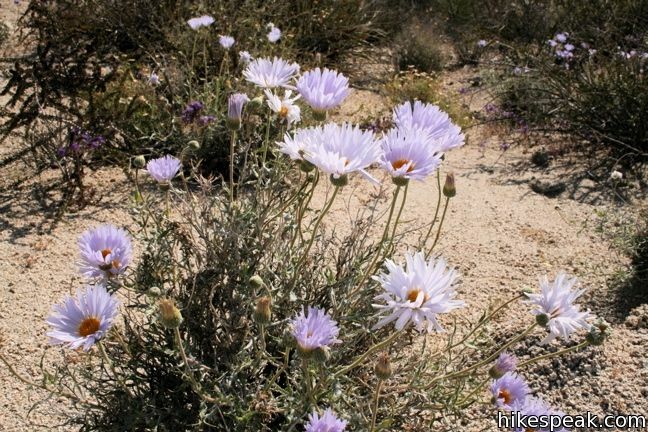 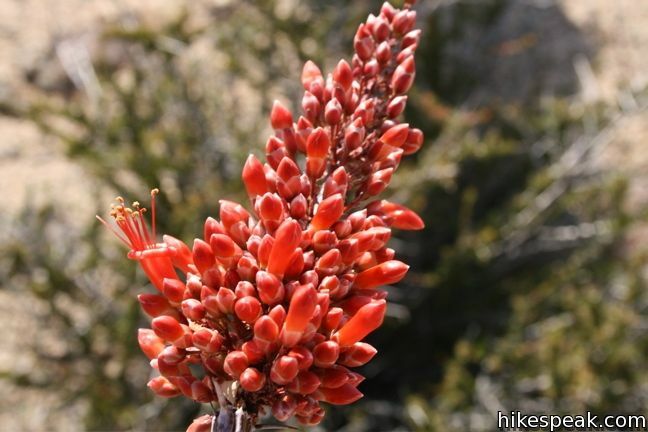 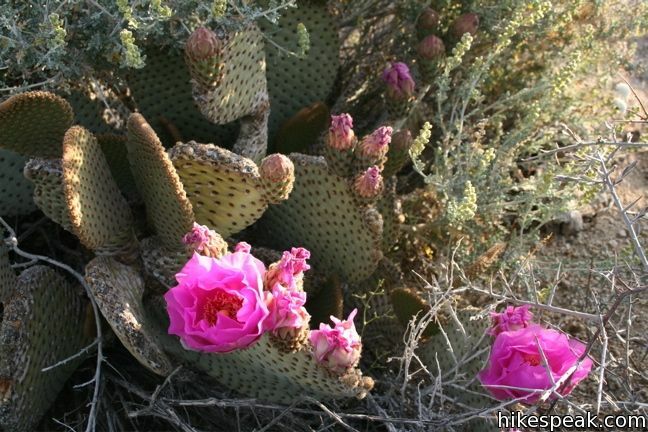 The desert in bloom is something any outdoor enthusiast in California should see. 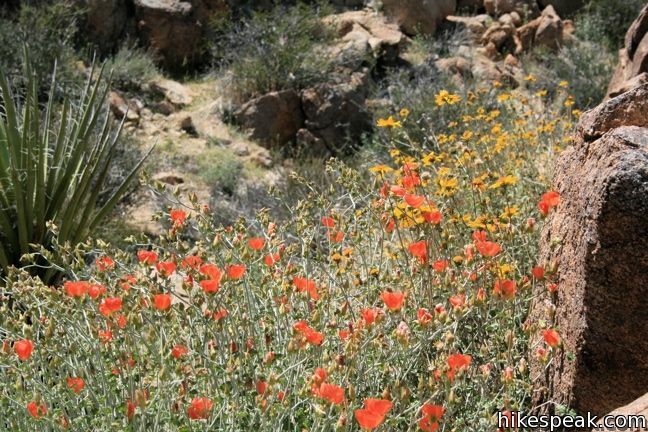 Most of the wildflowers below were photographed near Eagle Mountain and Lost Palms Oasis in April of 2008. 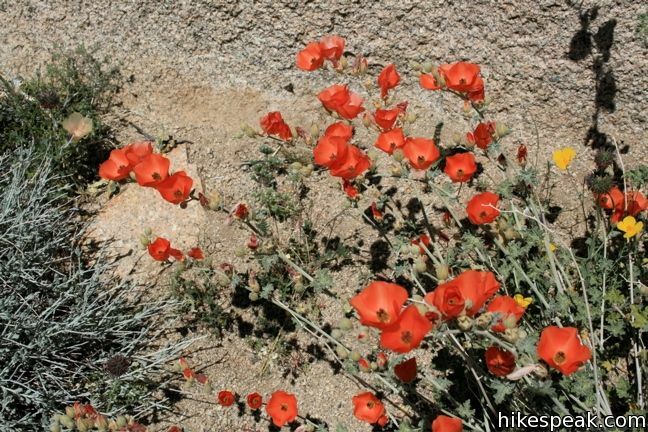 Photos from other areas of the park taken in April of 2010 and later. 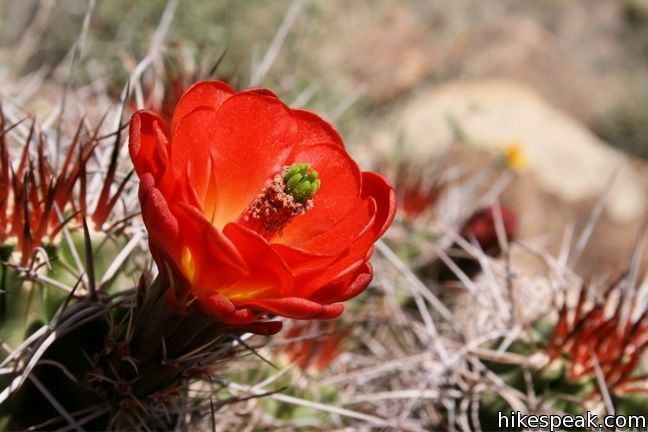 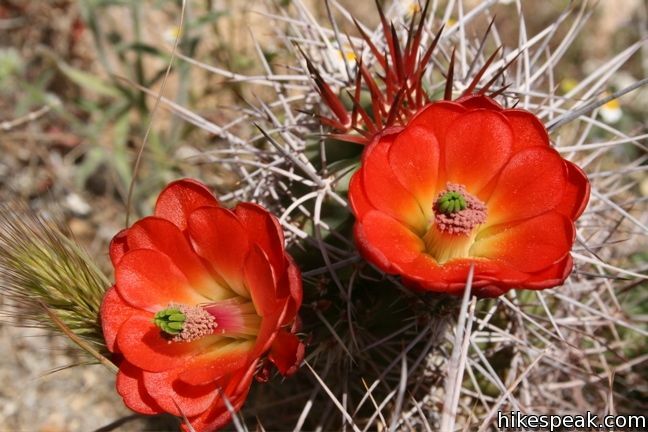 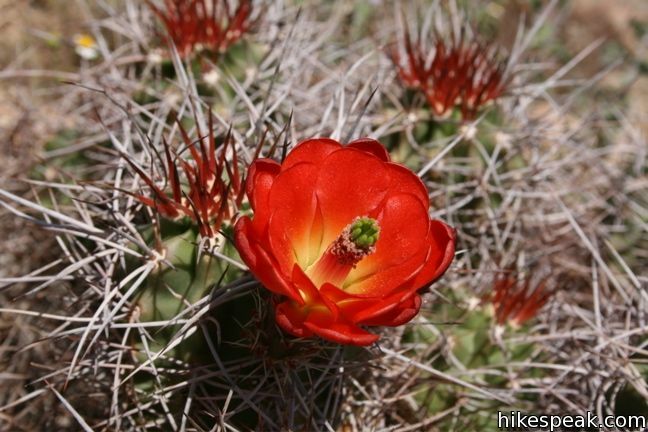 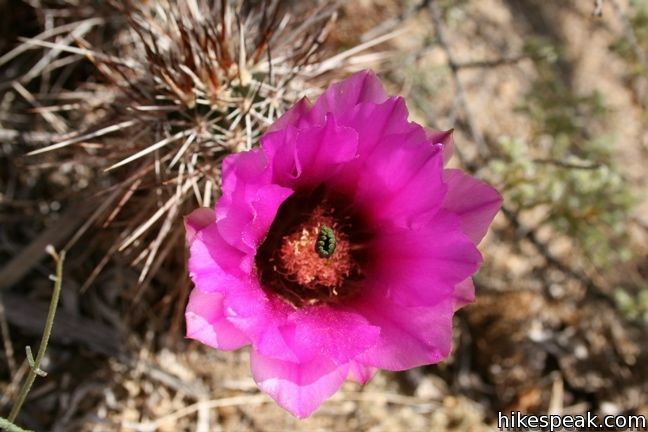 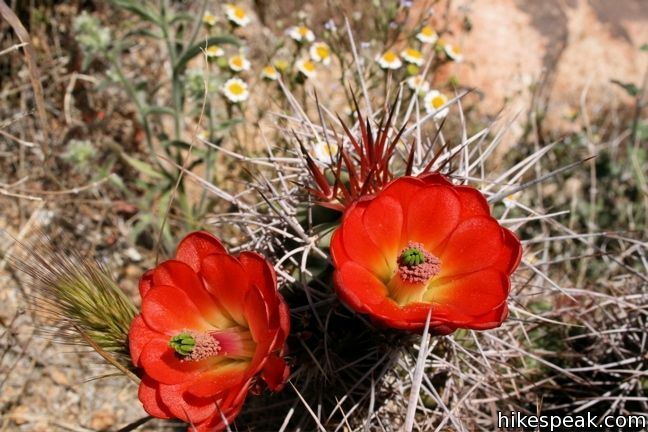 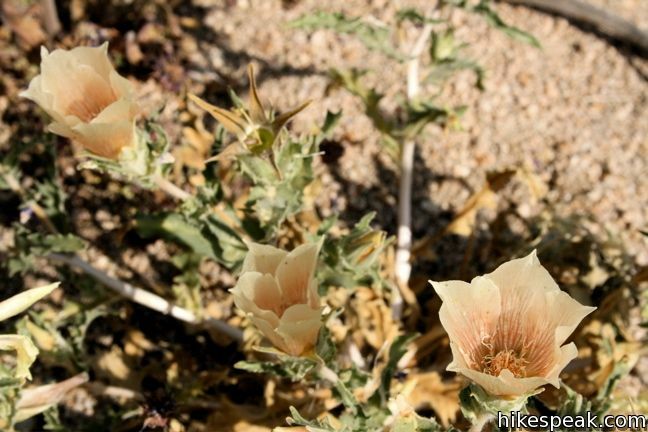 Enjoy these samples of blooming desert beauties like Engelmann hedgehog, Canterbury bell, Mojave mound cactus, and beavertail cactus, and then set out to find your own wildflowers in Joshua Tree National Park. 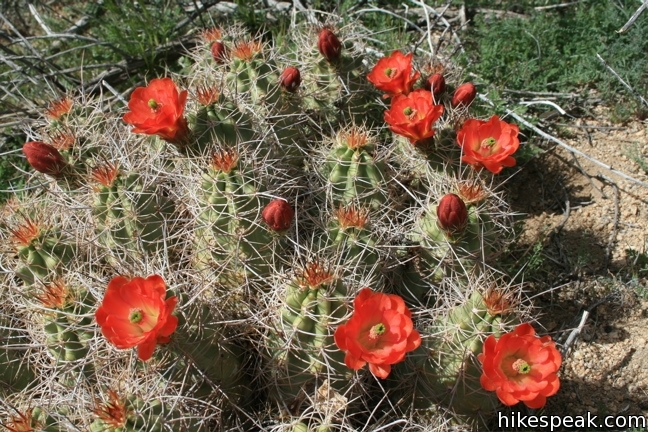 The lower elevation on the east side of the park typically blooms earlier in the year. 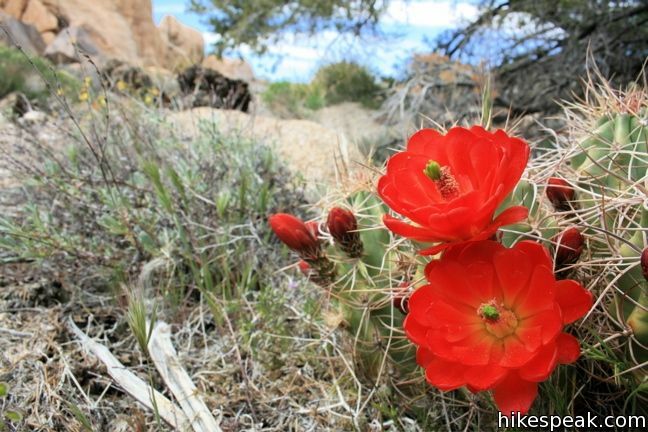 Ask a park rangers to point you in the right direction. 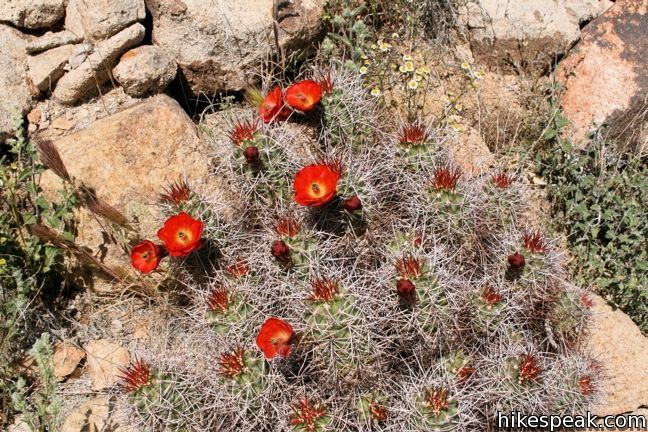 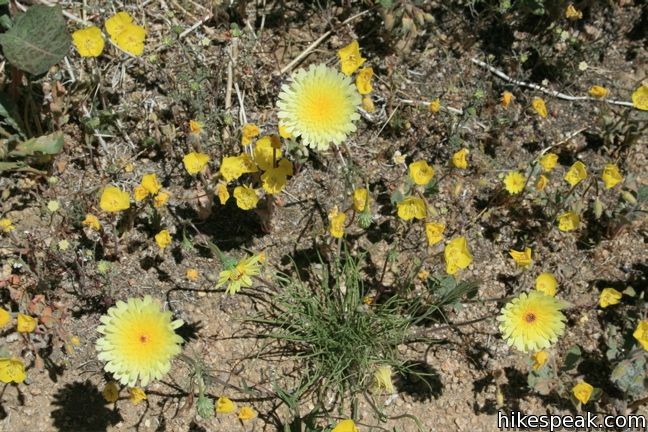 The desert bloom in the park to the south brings out Barrel Cactus, Beavertail Cactus, Bigelow’s Monkeyflower, Brown-eyed Primrose, Desert Chicory, Fishhook Cactus, Ocotillo, Prickly Poppy, and more. 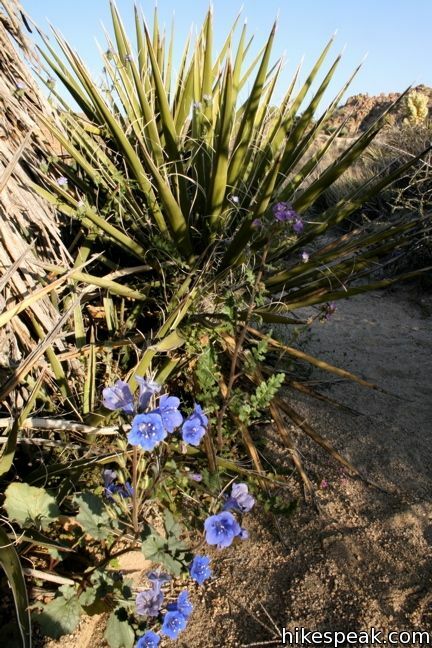 The spring broom around LA brings out Blue Dicks, Blue-eyed Grass, Monkeyflower, Chinese Houses, Gazanias, Lupines, Mariposa Lily, Phacelia, Poppies, Sea Figs, Shooting Star, Sunflowers, and more. 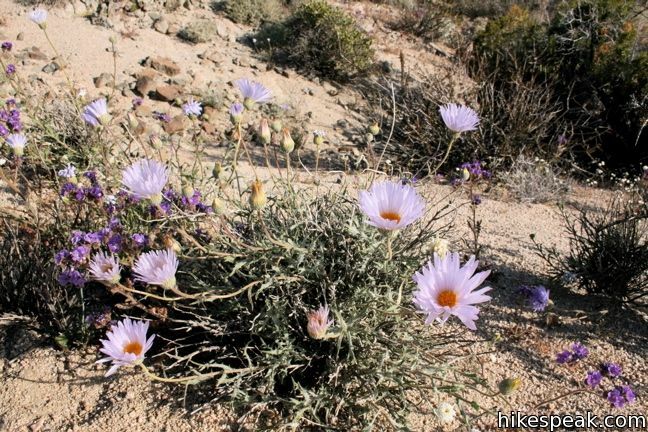 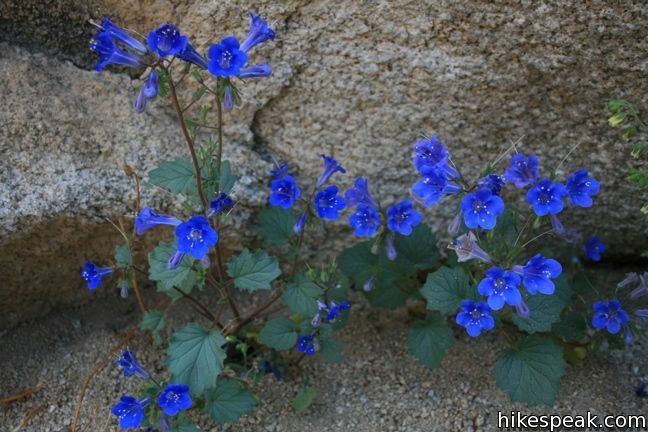 When is the best time to see wildflowers in bloom in Joshua Tree N.P., and what would make a good base for some challenging day hikes? 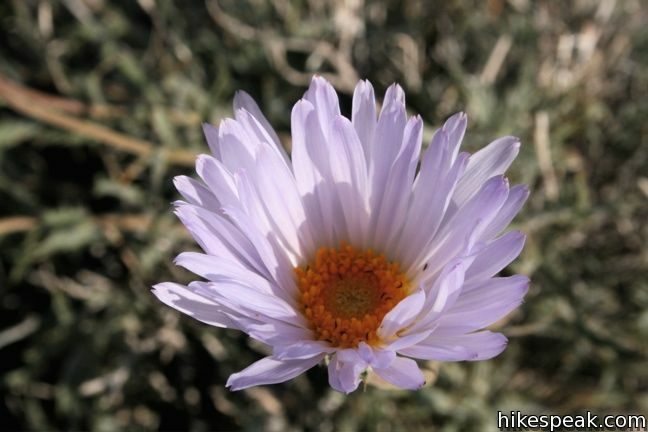 March is usually the best time of year to see flowers, but it changes year to year. 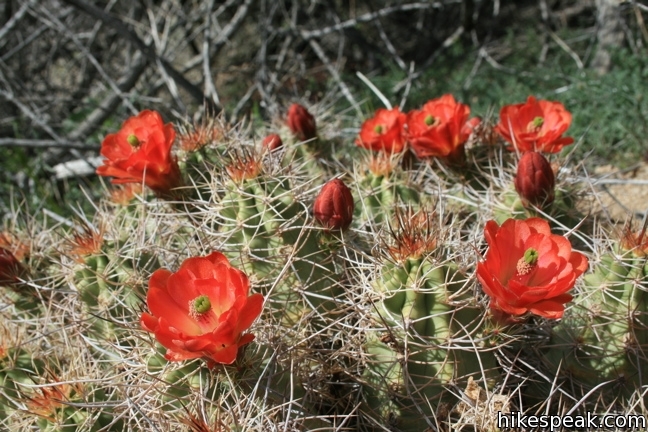 The east side of the park, which is at a lower elevation, usually blooms first. 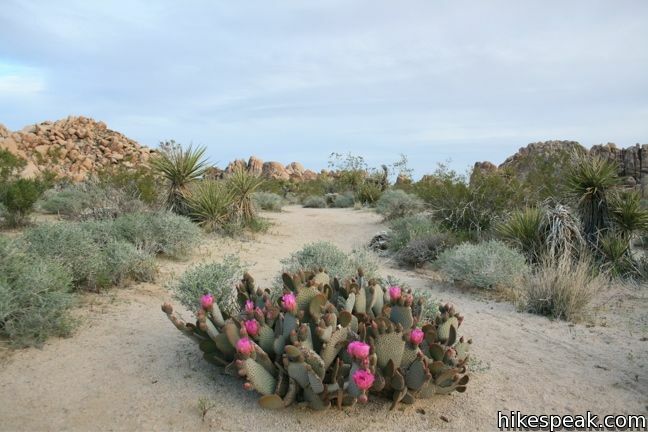 The trail to Lost Palms Oasis is a good day hike in that area that can get a lot of flowers. 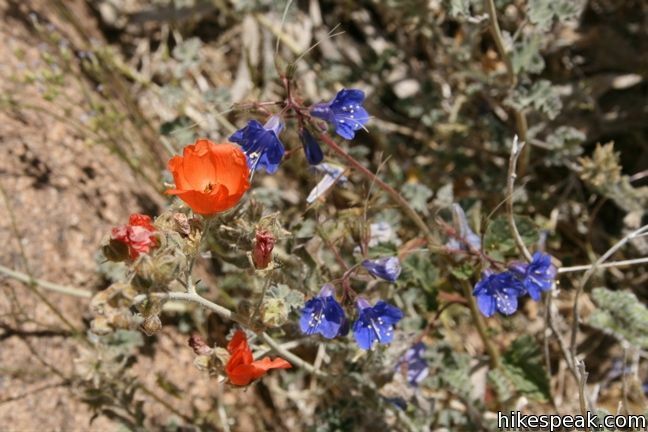 March 19, 2015 on a hike to Lost Horse Mine found a very small flower that I can not identify. 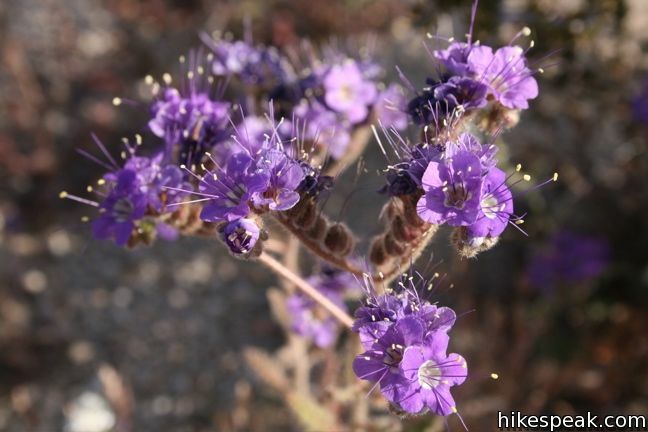 leave are grey green very close to ground, they look like curly parsley. 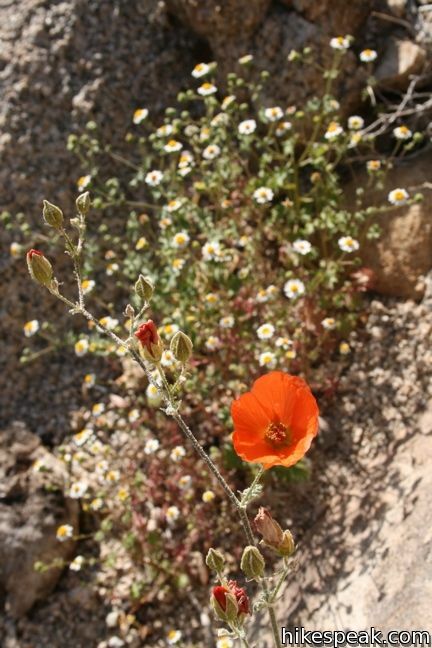 The flower was not quiet out yet but the bud looked to be a dill shaped flower that would be burgundy when blooming. 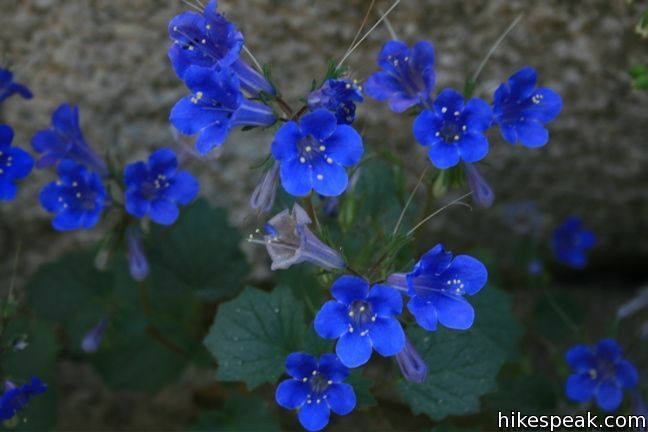 Have a picture but will not let me post it here. 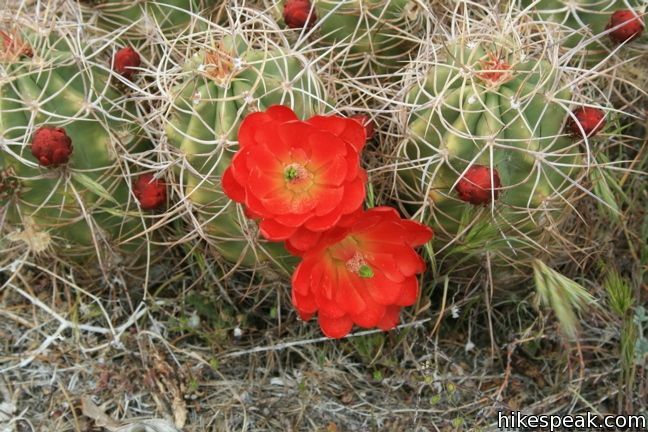 thank you for your assistance.